After winning the League and Carling cup, one would have expected Mourinho to strengthen the team so as not to do a City who won the League and Carling cup like Chelsea two seasons ago before they wimped out in their title defence, City after winning the league signed only Fernando, Mangala, Sagna and Bony (in January) as first team players. 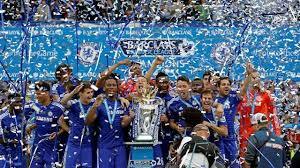 While Chelsea has signed Begovic permanently and Falcao on loan for the first team so far. The Falcao signing makes no sense to me, he has lost his touch (I hope he proves me wrong though) ever since he had that ACL injury while he was at Monaco, he had no impact whatsoever at Manchester United last season and he was also poor at the recently concluded Copa America. However, a couple of people might say he is signing as a backup striker so it’s not a big risk but we should not forget the huge wages he’s on plus he would block the path of some of our youngsters into the first team. A player like Patrick Bamford who was the best player in the championship last season where he was on loan at Middlesbrough would have been perfect as our 3rd choice striker behind Costa and Remy and who knows, he may have just taken his chance if he was given one. But with Falcao signed, we are probably getting a player who is not good enough again and at the same time blocking the path of an exciting young talent in Bamford. 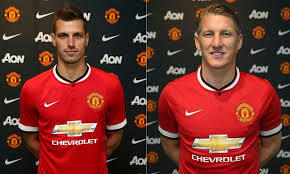 Our other rivals Manchester United, Arsenal and Liverpool (ok Liverpool are currently not really a rival, I mean sterling was one of their best two players last season) have strengthened, Man U as at the time of this writing have signed Morgan Schneiderlin and Bastian Schweinsteiger, two top midfielders and they are still being linked to defenders Otamendi and Ramos, they are not playing at old trafford. Arsenal on the other hand signed Chelsea’s beloved Petr Cech so they have effectively solved their goal keeping problem by signing a winner like Cech. Arsenal in my opinion are going to be a big threat next season because in as much as they don’t have a world class striker (Giroud is an ok striker), they have goals in their midfield (Ramsey,Ozil,Carzola) and on their flanks (Walcott, Sanchez, Chamberlain). So if that team manages to be fit, they would cause some trouble. Chelsea fans can take some solace knowing that Wenger has NEVER beaten Mourinho, so hopefully, that would help and it would take Man U’s new recruits a while to settle in and no Chelsea fan is genuinely worried that City signed Sterling. What is good about this Chelsea team and why we do not have to make so many signings is that one our manager looks like he wants to stay for a long time, so there is stability at the club and our core is relatively young, our best player Eden Hazard is just 24 and he is only going to get better and you can be sure that Mourinho is not going to let the team get complacent. The team looks so strong already, we still have a certain Cuadrado who if he is able to find his feet in England, the team would become more unpredictable, Hazard on one side of the field, Cuadrado on the other, Fabregas or Oscar playing no 10 and it would be scary for opposition defences. Also Reuben Loftus Cheek has emerged and he looks so calm and collected with good vision, he might be the real deal. Betrand Troare is also coming back and if he is not loaned out again, he might be ready, because when he first came to Chelsea and played preseason, he scored a wonder goal and all the players waxed lyrical about him. 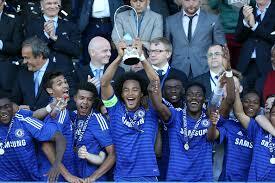 Also Chelsea has one of the best academies in the world, last season they won the European u-19 championship and also the FA youth cup. The FA youth cup has turned into their personal property in recent years winning it four times in the past five years and none of these players have broken into the first team yet. So it’s probably time to start promoting some of these players instead of always signing new players. Chelsea could have their own class of 92 like Manchester United. With this squad, Chelsea should retain the Premier League, however Mourinho has to look at the Champions League because Chelsea losing to 10 man PSG is unacceptable and also if Chelsea want to win the UCL again, Mou has to find a way to stop the seemingly unstoppable front three of Messi, Suarez and Neymar(MSN) because any team gunning for that trophy has to run into them. Messi has NEVER scored against Chelsea and in the modern era, no team has defended its UCL crown, so maybe that would help a bit. Del Bosque won’t be the Coach of Spain’s National Team after World Cup 2014.